How does one lift a droopy face? A common question I get in my practice, we first have to how our face ages. 3. Your outer skin becomes thinner and wrinkly. Therefore, in order to reverse ageing with the aim of creating a more youthful look, there is no one-fits-all treatment. More often, we need a combination of treatments for best results. Additionally, what works for one may not work for another. 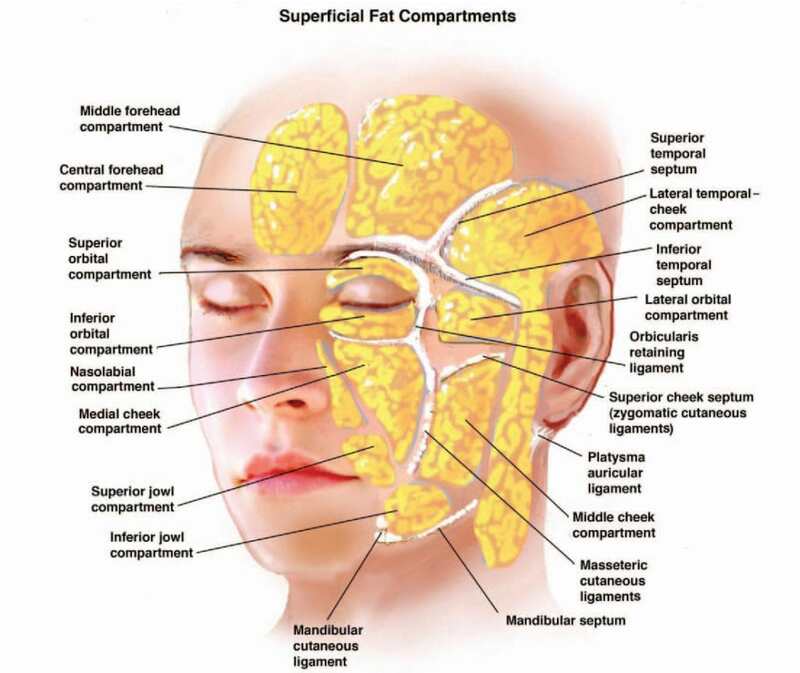 My role as an aesthetic doctor is to examine your face to determine which combination of treatments works best for you. As we age, our face shape changes from an inverse triangle to an upright triangle due facial bone shrinkage, muscle and ligament laxity, fat migration and thinning of skin. Here are 5 treatments that can help improve an ageing and sagging appearance. 1. Fillers: As you age, your bone structures change and lose volume. Imagine a table with a fitted tablecloth. This represents your face in your youth. Now picture the table frame (i.e. your facial bone structure) shrinking, while the tablecloth (i.e. your skin) stays the same. Sagging will definitely occur! With filler injections, these empty spaces are filled to keep the skin taut. Fillers can also be introduced at parts of the face that are sunken such as the tear trough or nasolabial fold. Placing fillers in the right place can help to lift and restore volume, giving you a more youthful look. There are many different brands and types of fillers on the market with varying longevity and usage. It is important for you to find an experienced doctor to decide which one is suitable for you. 2. High Intensity Focused Ultrasound (HIFU): HIFU delivers focused ultrasound energy into the deeper planes of the face, namely the deep skin (dermis), superficial fat and muscle layer (SMAS layer – Superficial Muscular Aponeurotic System). The SMAS layer is the same site that is tightened in a surgical face lift. By stimulating focal contraction points (as shown in the image below), there is immediate collagen contraction, resulting in SMAS tightness. Delayed wound healing in the next 3-6 months will stimulate new collagen production for even greater results. The advantage of HIFU when compared to conventional surgical facelift is that the deep structures of the face can be targeted without surgery, and herein without the associated downtime. HIFU is the ideal treatment for needle-phobic patients who want a firmer and more lifted face! 2. Thread Lift: The loss of bone support, shift and fat compartments, ligament laxity are parts and parcel of the ageing process. Thread Lifting involves placing dissolvable surgical threads underneath the skin. These sterile threads are lined with cones/barbs, and introduced into your fat compartments to lift and reposition the sagging fat pads. This effectively reverses the signs of ageing. Immediate lifting is seen. Even greater results can be noticed after a few months as your skin’s production of collagen and fibrosis is stimulated by the threads. This keeps the skin firm and prevents the downward shift of your fats pads. 4. BOTOX (i.e. Botulinum Toxin): Oftentimes, BOTOX injections are thought of as an anti-wrinkle, muscle-relaxing treatments. However, when placed at the right places and in the right dosages, BOTOX can also produce lifting results. Depressor muscles responsible for your frowns can result in the gradual lowering of your brows and the drooping of your eyes. BOTOX injections targeting these muscles can result in what we call a “chemical eye lift”, giving you a fresher, more well-rested look. Another popular use of Botulinum Toxin is by introducing a diluted concentration into the skin layer. This is called DermaLift. This stimulates the fibroblast cells in the skin cells; tightening the collagen fibres. This gives rise to a more lifted appearance in the skin. 5. Resurfacing Lasers: Now that you’ve done everything to lift your facial structures from within, you’ll need a taut, overlaying canvas (i.e. skin). This is when resurfacing lasers come into use. Contrary to popular belief, lasers do not thin your skin! Resurfacing lasers that are commonly in use are fractionated. This means that only a certain fraction of the skin will be acted upon by the lasers. This stimulates the remaining skin to produce more collagen, thereby strengthening your skin’s dermis layer. When performed at an appropriate frequency and power, your skin will be feel taut and smooth after a couple of treatments. Moreover, the common worry of long downtime is a thing of the past. I personally recommend the extremely gentle Clear + Brilliant Laser, which offers minimal downtime (i.e. 2 hours to a day or two) with great results. With a plethora of anti-ageing treatments available on the market, which is suitable for you then? As your skin age in your own way and time, consult a trustworthy aesthetic professional who will be able to make recommendations suited to you. Having obtained her medical degree in Scotland, Dr Charlene Goh returned home to Singapore, where she practiced in several major hospitals and in various departments. But her education did not stop there. From a young age, Charlene has had a strong interest in skin care and beauty trends. Urged by Dr Kelvin Chua to pursue her passion, Charlene went away to study Practical Dermatology at Cardiff University in Wales. Not one to rest on her laurels, she returned home and picked up certifications from various aesthetic organisations. Now armed with the proper certifications and experience, Charlene is adept at a wide range of minimally invasive aesthetic procedures such as laser treatments, dermal fillers, botulinum toxin injections, etc. A firm believer in presenting one’s best self, Charlene hopes to help others achieve greater confidence through a holistic approach; a wholesome combination of a healthy lifestyle and diet, complemented by clinically proven aesthetic treatments. Charlene is a self-confessed beauty junkie and fashionista, and will happily discuss the latest trends with friends and patients.